For all those who love food and travel..
Another year has passed with the blink of your eye, we have all grown a year older, children are done with another year of schooling, there are so many things that have changed in one year. If I ask you what's so special about this new year's eve, everyone will have something to say about it. So, what do we do this new year's eve? Don't forget to read till the end, to get the bonus tip. It's time to be grateful for every small thing you have achieved this year. I know most of us can only remember the bad times we had this year, but if you can focus and think I'm sure you'll find at least 10 things or incidents you can be grateful for. So be happy of what you have achieved this year. Only when you're happy and positive you can attract more positive energy, which in turn will make you more happier. 1. 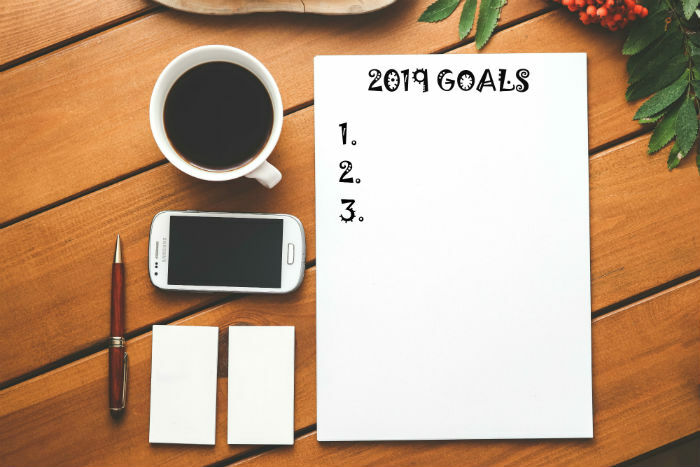 New Year 2019 resolutions and how to make an effort to keep them. 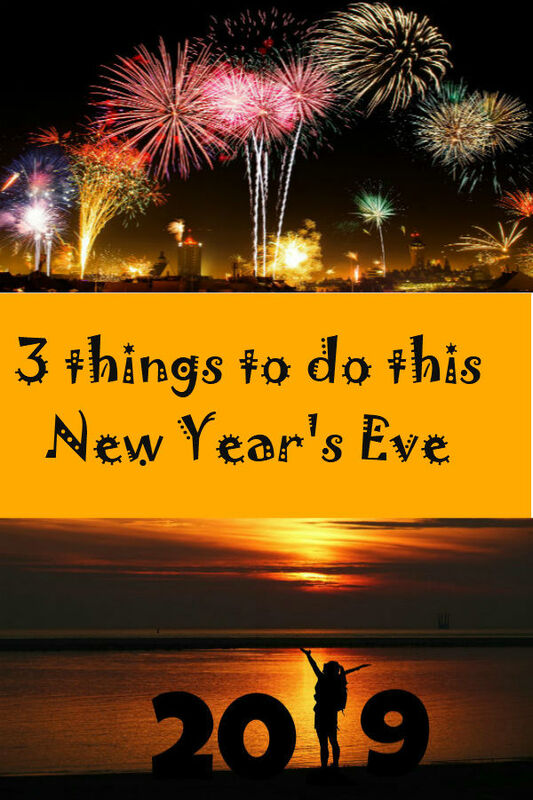 Resolutions are easy to make, but most of us find it difficult to keep them up. You start getting demotivated after 2-3 months. The main reason for this de motivation is most of the times we set a difficult or an unachievable goal. What is your resolution on NYE 2019 ? Let me know in the comment section below and do you think you can achieve it? Most of our goals or resolutions for the NYE are related to our weight, health or money. Why does it become so difficult to achieve it? For example, if I talk about those who want to lose weight : it would seem impossible to lose 30-40 lbs in one year. If you are planning to eat healthy for the next year, do you think it's possible? I'm not here to demotivated you, but let's see if you can help yourself in achieving your goal this year. So, what steps can we take to keep our resolutions and not lose our focus? The only solution to this is planning accordingly. Write down your resolution in a paper. It is said that if you write down, you try to finish the task, if not written, there are higher chances of losing your focus. You could write it in bold letters on the front page of your record. Example: " MY RESOLUTION FOR THE YEAR 2019 TO LOSE 10 KGS OF MY WEIGHT". Write every resolution on a different line in case you have many. Divide your resolution as monthly or weekly tasks or monthly achievable goals. Example: if you are planning to eat healthy, you can set a goal of having a healthy diet one day per week in the first month, two days per week in the second month and so on..
Don't give up. Nothing is easy. Everything needs hard work. So, don't lose focus and try to achieve your monthly or weekly goals. If you are a family person, spending time with your family can be the best gift you can give to your family and yourself. You could spend time at home or go for a drive with your spouse. If you have kids, the best thing would to have a playdate or a movie night with your kids. You can also take a New year trip for 2 days to some place near Bangalore within 200 Kms. 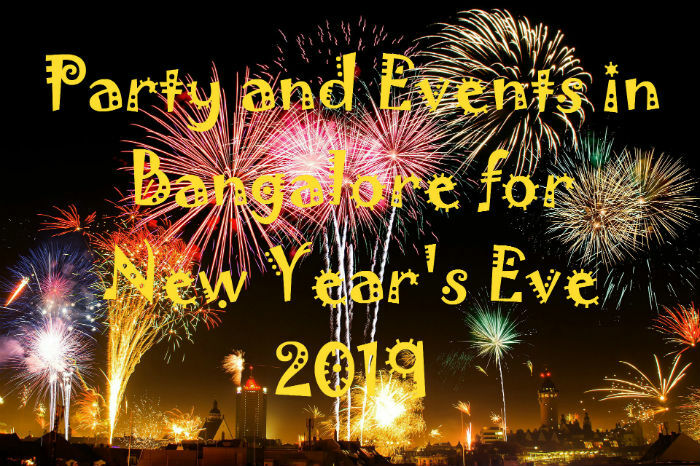 If you are a person who loves parties, click here to get the best New Year Parties and events happening in Bangalore and other cities this new year's eve. 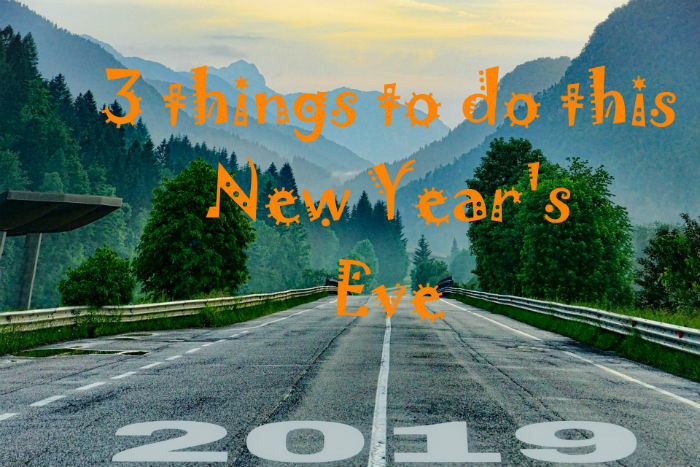 Book your New Year's Eve 2019 well in advance and enjoy partying. Don't forget to keep yourself safe. If you are partying and planning to drink, please do not drive, you can always book a taxi to get home. Wish you a HAPPY NEW YEAR 2019 and have a blast. Share this article with your friends and family and wish them too. Comment below if you have liked reading it. 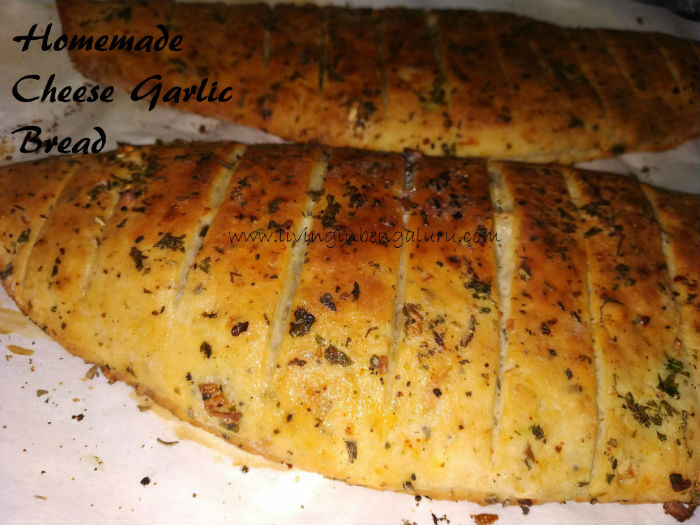 Homemade cheese garlic bread is made using a lot of cheese which is why it's a favorite among kids. One thing to remember here is most of the kids don't like the smell and taste of garlic, but if you add the right quantity of garlic they'll love it. Everyone likes Cheese garlic bread made in restaurants, but most of us think its difficult to make. 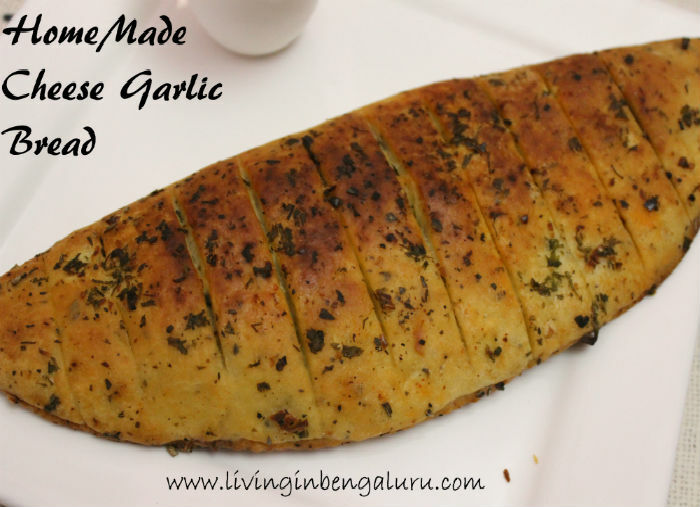 Here is an easy recipe of cheese garlic bread which you can try at home anytime. This cheese garlic bread is made by my husband. Actually most of the baking recipes here are by my husband. This post contains affiliate links. If you click on these links and make purchases, it does not cost you anything and I get a small commission which helps me in keeping up my blog. Take warm milk in a mixing bowl. Now add sugar in the bowl and mix well. Add instant yeast , mix well and cover the bowl with a cloth. Let it rest for 10 mins till the yeast gets activated. After the yeast gets activated, add salt, crushed garlic and butter. Now add all purpose flour and mix well. Knead the dough well for 10 mins. Now add 1 tsp oregano and 1 tsp basil and mix well. Add oil to the dough and mix well. Cover the bowl and let it rest for 2 hours, till the dough is doubled. Now take a small bowl and add 2 tsp ghee/ unsalted butter. Add the chopped garlic, coriander leaves, 1/2 tsp oregano and 1//2 tsp basil to the butter and mix well. Now add the remaining 1 tbsp. ghee/ unsalted butter to the mixture and mix well. Keep aside. After the dough is doubled, puncture the dough and knead it for another 2 mins. Sprinkle some flour on the working surface. Now flatten the dough with your fingers or a rolling pin on the surface. Apply the mixture of butter, garlic, coriander leaves, oregano and basil on the top of the flattened dough. Keep some mixture to add it on top of the bread. Sprinkle the cheese on the mixture. Now sprinkle oregano and chilli flakes. Next, fold the dough into a semicircle and seal the sides well. Place it on a baking tray with a baking paper. Now spread the remaining mixture on the folded dough. Give slits on the garlic bread. Preheat oven and bake at 200°c for 5 mins and 180°c for 10 mins. Serve hot with your favorite dip. Don't forget that milk should be warm, if yeast has to get activated. You can also add warm water instead of warm milk. If you liked the above recipe, don't forget to share it. Drop a comment below and let me know. 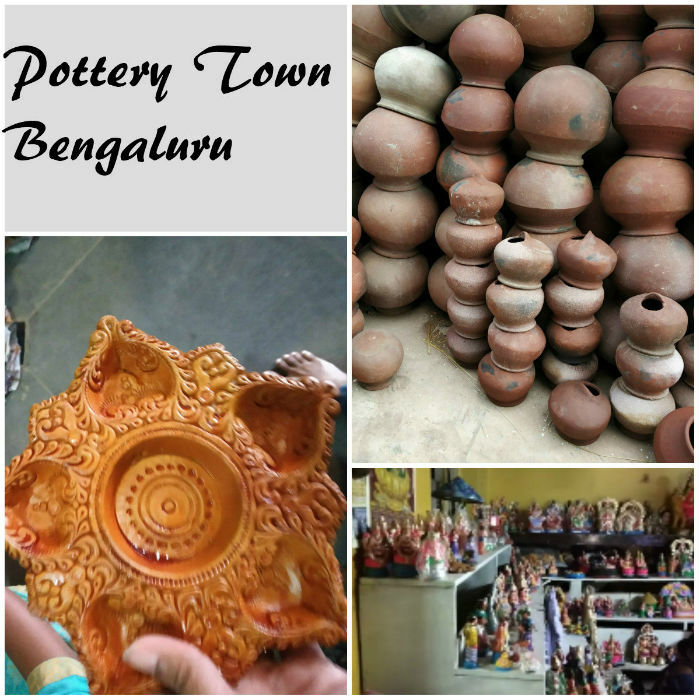 Pottery Town is well known for its potter's wheel which spin out different types of clay pots, planters, tandoors and idols. Pottery town is lined up with tiny shops which are attached to the potter's home. Several families have settled here and have been earning their livelihood making pottery since ages. It still has the rustic charm of old Bangalore which has been lost amidst the present city life. What can you buy at Pottery town? Every clay item you can think of from planters, pots, tandoors of different sizes, DIY clay items, home decorative, lamps, diyas, idols for every festival be it Varamahalaksmi habba, Ganesh Chathurthi, Dasara/ Navaratri dolls/ Gollu and Diwali lamps and diyas. They usually have festive specific items, which means they make the idols a little before the festival and are not available all through out the year. 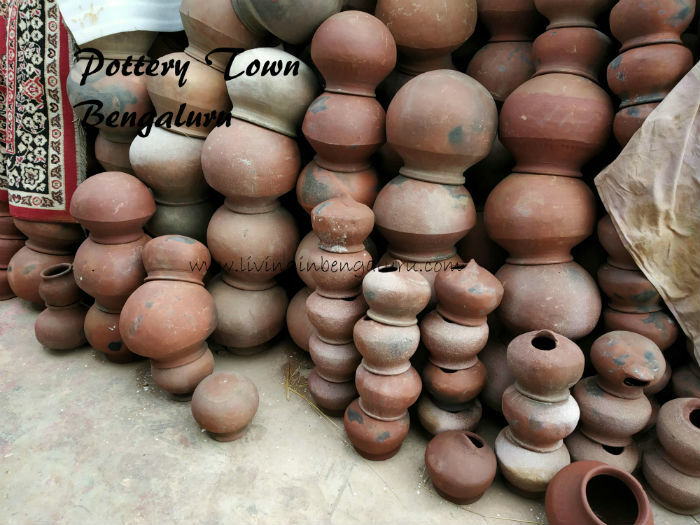 Why should you buy from Pottery town? Pottery town is a very old town where the Potter's have been making clay items for their livelihood. The culture is being lost amidst the city life and there is no one to continue their work. The demand for handmade clay items is decreased due to the availability of various designs made by different machinery. Most of the items in Pottery town cost much lower than the local market and you can also place an order in advance if you need some specific item. How much is the approximate cost of items? Most of the prices are budget friendly and low compared to the market price. Please check my video above for prices of few of the items. There are a lot more items and I bet this place is worth the visit. Go to this place 1-3 weeks before a festival and buy all clay items from them at low prices. Help the potter's in regaining their culture by letting your family and friends know about this place. Try taking your kids around this place. I bet they'll love to see the potter's spinning their wheels. Are your kids watching television all the time? 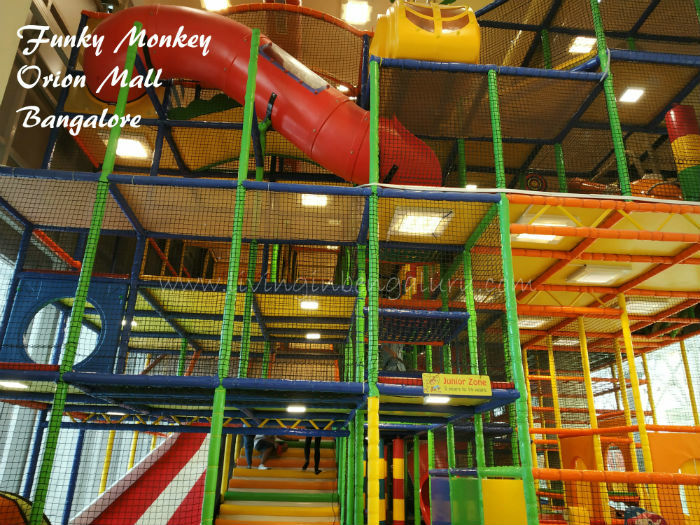 If you want to keep them away from watching you can take them to Funky Monkeys at Orion mall, Bangalore. It is a indoor play area where your kids can play to their hearts content. There are two zones here, one is the toddler zone aged 6 months to 4 years and the other is the junior zone aged 4 years to 14 years. There is a café where you can just sit while your children are climbing, playing, running, jumping or crawling. 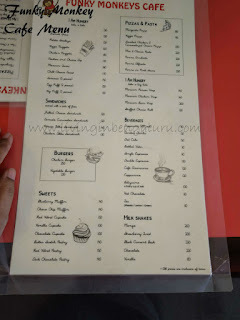 You can buy snacks, burgers, sandwiches, pasta, pizza, cupcakes, muffins, beverages and milkshakes. Prices are slightly on the higher side but food is good. You can also celebrate your kids birthday here. You can check the different packages with them if required. They do balloon decorations and provide snacks. Your kids friends can have fun at the play area too. Funky Monkeys supervisors are inside the play area and they assist children. They have taken care of safety as well. Parents need to accompany the kids especially the younger ones, which means parents get to play as well. For all those who wish to play with their kids, you can join with them and refresh your childhood memories. First time, when I went with my daughter I was so happy to explore the place and I did go in the tunnel slide which was fun. One session lasts for 90 minutes and every hour taken extra you need to pay extra. There is an offer currently where you can pay ₹3000 for 10 sessions with unlimited time. Once you take your kids to Funky Monkeys I bet they wouldn't listen to come home till they get totally exhausted. They do not allow you inside without socks, so do remember to take your socks. You can also buy a new pair of socks at Funky Monkeys. Comment below if your kids love playing in such indoor play zones. Do not forget to share. Decathlon is a retail sports shop where you can find all sorts of sports products. 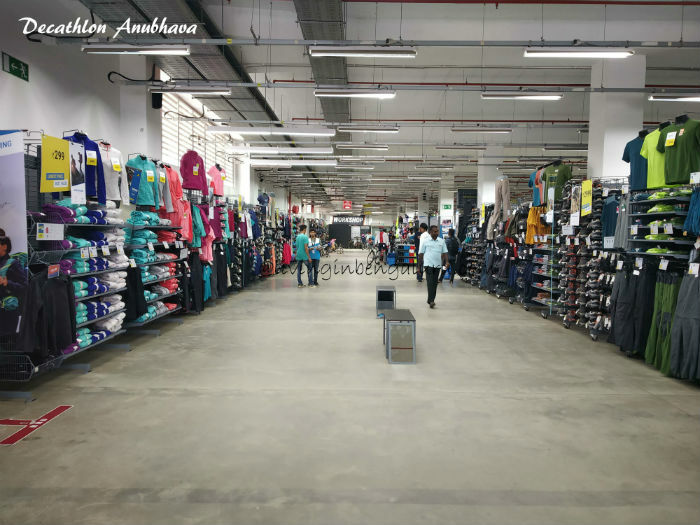 Decathlon has aound 64 branches in India, currently. This place has most of the sports products of high quality for young and old. Note: This is not a sponsored post. Just sharing my experience here. 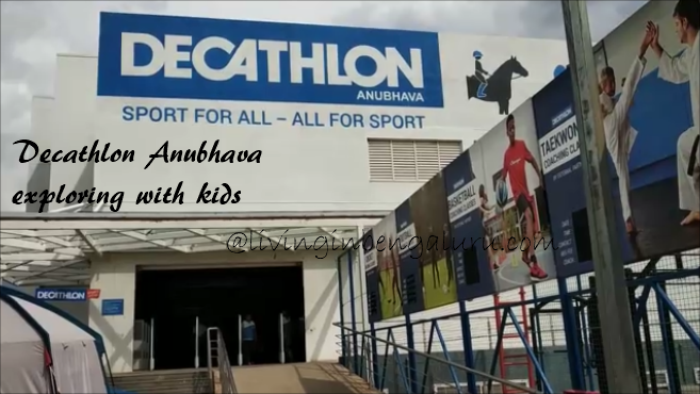 We go to Decathlon Anubhava frequently, which is on the airport road, around 19kms from Hebbal flyover for shopping since my husband is very enthusiastic sportsman. He participates in most of the 10k runs held in Bengaluru. He also swims for around half an hour everyday. That makes him shop for what he needs and Decathlon is the right place to get all the stuff. You can also try out before buying your stuff. My biggest challenge when we go out, are my two little one's. Wherever we go I need to keep a constant watch on them. Secondly, I need to keep them entertained, so that they do not start throwing tantrums. This is a place where I can shop as well as keep my kids entertained throughout. Most section of sports, whether it's cycling, gym, running or skating there are trial or test zones where you can test your skills and try out the gear before buying it. Decathlon has a good collection of clothing for most of the sports including water sports and adventure sports. One can find clothing even for exercising and yoga. This includes clothing for men and women. There are cute clothing sets for kids too. You can buy swimsuits for your kids here. The price starts at Rs. 299. The shoe collection starts at Rs.499 during clearance sale. There are good shoes for every sport. I bought a running shoe for Rs.1999 and just love the fit. There are shoes for men, women and kids too for different sports. The roller skates for kids are worth a try and a buy. All types of sports gear is available here including fishing hooks, kayaking boats, skate board, and accessories for most of the sports. One can spend a whole day at Decathlon even with kids. Cycling section has a lot of cycles for trial. There are also small cycles for kids, geared bicycles, mountain bikes. Gym section has most of the gym equipment's for trial and there are also baby gym equipment's like trampoline and tunnels. You can try your golf skills at the mini golf course, a flat one and another with a little variation. Table tennis table is also setup and you can try playing for sometime. There is also a mini TT table. Kids scooters are also here for practice starting with toddler range up to adults. Skate boards can also be tried inside a fenced place. Overall a good place for all your sporting needs. Kube means clam in Konkani, a language spoken in Mangalore, Udupi and Goa. A lot of dishes are made in Mangalore using clams. We add half of the shells with the meat for most of the recipes. Kube Kadi can be had with rice, idli or bread. Since I was born and bought up in Udupi, I have seen my parents buying clams from the fisher women who would come home to sell it in baskets. We would also buy it from Santhekatte market(well known to be a Sunday market in Udupi) which is around 5kms from Udupi city. 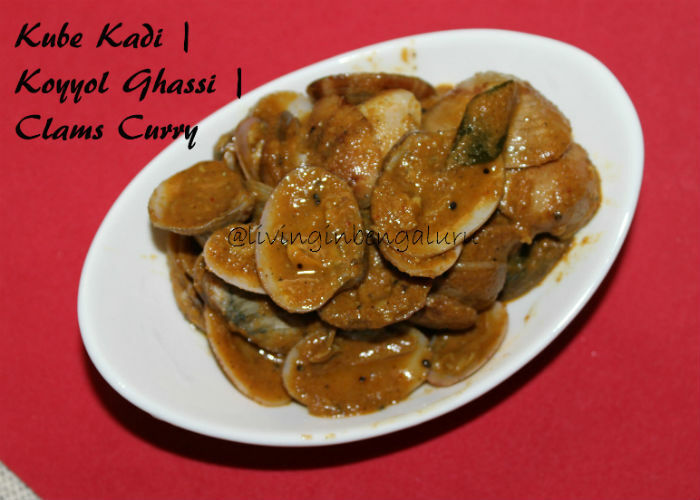 There would be two types of clams popularly known in Konkani as Jadd Kube(smaller) and thisre kube/Bannada Koyyol (slightly wider), which also vary in the outer texture. In the 90's, the smaller version that is jadd kube were sold for around Rs. 20 for 1 "sher"(measured in 1 litre tins) and the latter, Thisre Kube were like Rs. 25 for 100 clams (they would actually count 100 clams and put it in the bag). I have used thisre kube for this recipe. Clean and wash clams well. Grind together dry chillies, coconut, turmeric, onion, peppercorns, coriander, jeera and tamarind to a fine paste. Take a small pan and dry roast red rice till it slightly puffs up. Once it cools down, powder it and keep aside. Heat oil in a wok and add mustard seeds and let it splutter. Now add the ground red rice powder and fry it a little. Add ground masala and stir well for 5 mins. Now add 2 cups of water and add salt. Mix well and let it boil. Add the clams and mix well. Cover and cook till done. Serve hot with rice, idli, chapatis or bread. 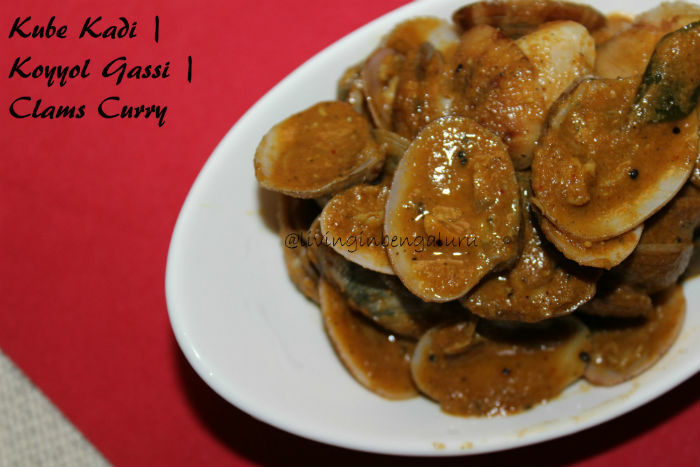 While cleaning kubhe/clams you could also remove all the meat from shells and cook. 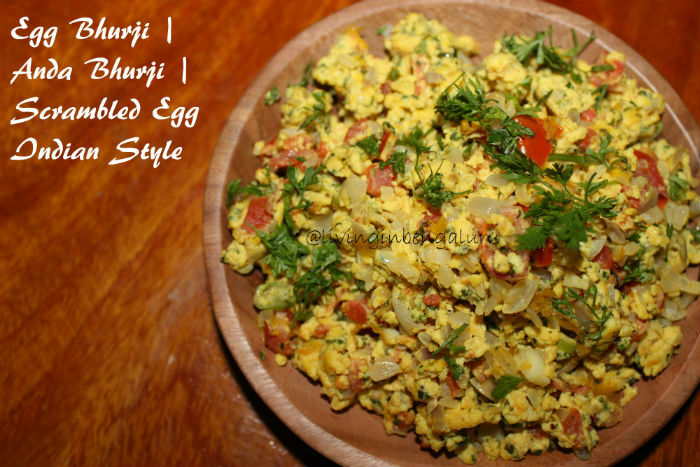 Egg Bhurji also known as Anda Bhurji is an Indian style scrambled egg which is a popular Indian breakfast served with Pav(Indian version of burger bun), bread, chapati or even rice. 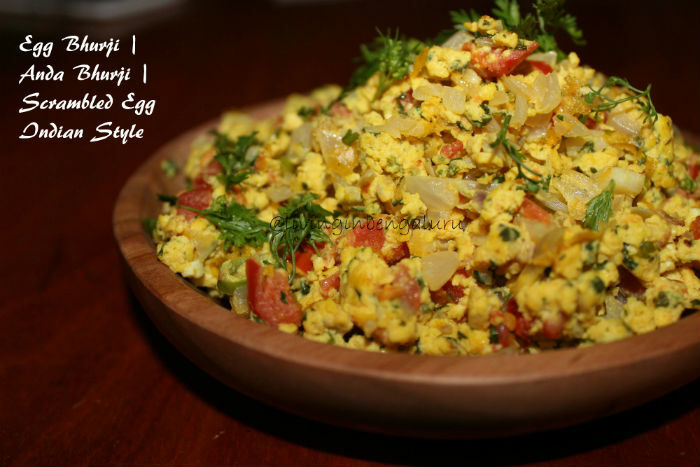 Egg Burji is a comfort food in most of the houses in India. Everyone has their own version of making egg bhurji. The below recipe is a simple and a quick one with a few ingredients like onion, tomato and of course the egg. I make this usually when there is nothing else at home or I'm in a hurry. Now this version was made by my husband. We at home just love his cooking. But he cooks less frequently since he is busy with his office work. You can also make this for your kids lunch boxes (see notes below). Heat oil in a wok / kadai. Add onion and fry till golden brown. Now add green chillies and ginger and saute for a minute. Add tomatoes and cook it well till soft. Beat the eggs and add it to the wok. After a minute scramble the eggs and mix it well till the eggs are done. Garnish with coriander leaves and serve hot. If you like cheese, you can also add some cheese to your egg bhurji. Take two tablespoons of Egg bhurji and roll it in a chapati and you can pack this for your kids lunch box. You could also add onion rings, ketchup or mayonnaise in the roll.